The following are results from Crawley and Horsham magistrates’ courts from August 10 to August 13. Charlotte Harris, 23, of Ely Close, Crawley, was given a one year conditional discharge, with a £15 victim surcharge, £85 costs, and a £150 criminal courts charge. She had pleaded guilty to being drunk and disorderly. Matthew Humphries, 19, of Flint Close, Maidenbower, was fined £50, with a £20 victim surcharge, £40 costs, and a £150 criminal courts charge. He had pleaded guilty to breaching an ASBO by refusing to leave Crawley town centre. Liam McGovern, 18, of Iveagh Close, Crawley, was given a six month conditional discharge, with a £10 victim surcharge. He had pleaded guilty to possessing cannabis. Alexander Young, 35, of Albert Road, Blackpool, was fined £150, with a £20 victim surcharge. He had pleaded guilty to stealing food from Morrisons, and causing criminal damage to a Kindle and to a window, all in Crawley. Prisca Mbaeri, 34, of Ayshe Court Drive, Horsham, was given an 18 month conditional discharge, with a £15 vicitm surcharge, £85 costs, and a £150 criminal courts charge. She had pleaded guilty to counts of stealing clothes from Debenhams in Crawley. Michael King, 33, of no fixed address, was jailed for four months, with an £80 victim surcharge, and £150 costs. He had pleaded guilty to seven counts of stealing food from supermarkets in Crawley, Burgess Hill, and Cowfold. Michael Nesbitt, 30, of St Francis Walk, Bewbush, was given a community order with six months of rehabilitation, £287 compensation, £85 costs, and a £150 criminal courts charge. He had pleaded guilty to two counts of stealing food from supermarkets in Crawley, and one count of assault. Lewis Day, 20, of Perry Avenue, East Grinstead, was fined £654, with £85 costs, a £180 criminal courts charge, a £28 victim surcharge, and six penalty points added to his licence. He had pleaded guilty to two counts of possessing Class B drugs (ketamine and cannabis), driving without insurance, and driving without a licence. Aaron Delahunty, 28, of Tilgate Way, Crawley, was given a three month jail sentence, suspended for a year, with an £80 victim surcharge, and £85 costs. He had pleaded guilty to possessing a Class A drug (cocaine). Aaron Smith, 23, of Lancing Close, Ifield, was fined £500, with a £50 victim surcharge, and £250 costs. He had pleaded guilty to stealing clothes and accessories from TK Maxx in Crawley. Leslie Collins, 44, of Wye Close, Broadfield, was fined £235, with a £24 victim surcharge, £85 costs, and five penalty points added to his licence. He had pleaded guilty to driving without due care and attention in Crawley. Mohsin Mohammed, 38, of no fixed address, was given a three month jail sentence, suspended for two years, with an £80 victim surcharge, £620 costs, and a £1,000 criminal courts charge. He had been found guilty of two counts of breaching a restraining order. 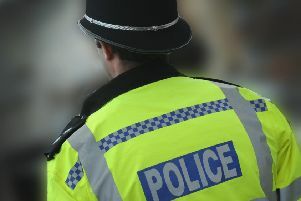 A restraining order was made, barring him from contacting a woman, or going within 500 metres of an address in Crawley. Reena Karpal, 22, of Rusper Road, Horsham, was banned from driving for 18 months, with a £270 fine, a £27 victim surcharge, and £150 costs. She had pleaded guilty to drink driving in Crawley. Kristian Szaruga, 32, of Brewer Road, Crawley, was banned from driving for a year, with a £110 fine, a £20 victim surcharge, and £200 costs. He had pleaded guilty to drink driving in Crawley.